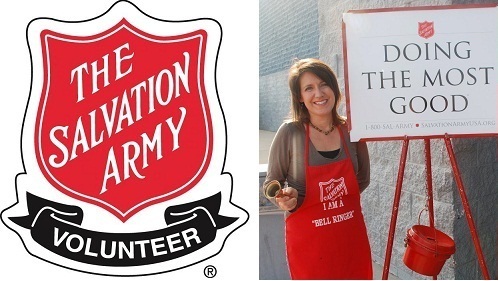 Every day volunteers walk through the doors of The Salvation Army New Jersey Division Corps. One of our longtime volunteers, Barbara Heinrichs, has dedicated years of her time to the Red Bank Corps. She has supported our mission in different ways – from serving as a Pantry Assistant to Receptionist to helping with Thanksgiving and Christmas activities – and now she has decided to depart from her volunteer service. Barbara joined the Red Bank Corps as a volunteer more than 10 years ago, after spending 28 years working as an Administrative Assistant in the Public Relations and Media fields. Barbara, tired of her daily commute from Aberdeen, NJ to Manhattan, NY for work and dreamed of a position closer to home. However, Barbara's dream of finding new employment never came true, as she had a difficult time finding a new position. "I walked up and down Broad Street in Newark, NJ, applying for every job and handing out my resume," said Barbara. "One day I walked into the Red Bank Corps and asked: "do you need any help?”. “They welcomed my help with open arms, I offered to show my resume but they said it was not necessary." For more than 10 years Barbara has faithfully shown up to provide her help. "Her reliability was commendable, rarely being absent," Jesabel Cruz, Red Bank Corps Office Manager, said. "I volunteered for so long because I had a great experience, it was fun, it was something completely different from what I was used to, it was a slower pace", Barbara said. She knows her volunteer work facilitates the process for people to pick up food and receive needed assistance. "Working at the reception desk, I found that some people just need someone to listen to them, so I let them talk,” Barbara said. 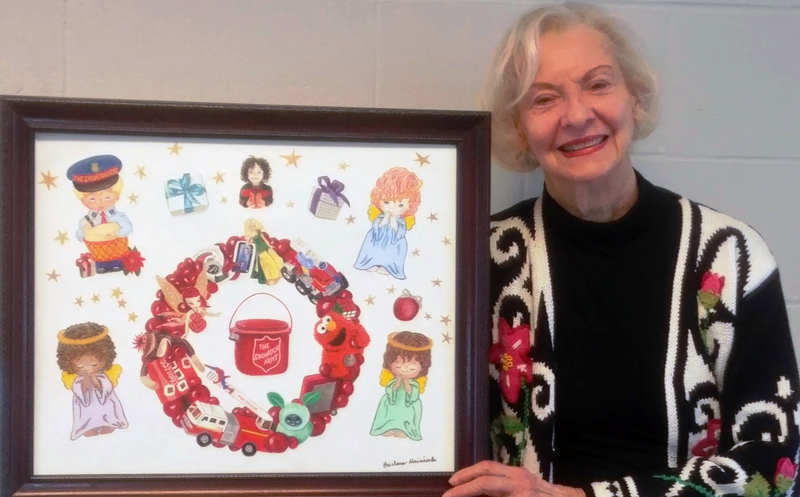 While helping the Corps, Barbara found time to take up painting – even creating a painting inspired by our Angel Tree program. "The painting is beautiful and we'll really miss Barbara, we hope she'll come for visits", Lt.Allison Hinzman said. Barbara shared stories about what things were like at the Corps, how busy it gets during the holiday season and few anecdotes of how she lived a rich fulfilling life. And, she told me her plans for the next phase in her life. "I believe in staying busy, I'm not much of a tv watcher, I prefer to read". "I make frequent trips to the local library in search of a good book," says Barbara as she shows off her notebook with the titles of all books she has read. From speaking with Barbara, I can tell she was a delight to be around, her absence will surely be felt in the Corps. Stay tuned! 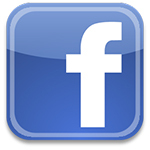 We are transitioning to a new system and are updating locations and opportunities regularly. for group leaders from corporations, schools, colleges, churches, service clubs, etc. to start receiving our monthly e-newsletter.